Aussies are investing more time and money into their backyards, drawing inspiration from the hottest garden trends. With the official start of winter this Friday, 1 June, many home owners will be wanting advice about heating outdoor spaces. A fire pit has become a must-have feature in gardens, yet with styles varying from a sleek Hamptons look, chilled Zen area, or a classic Aussie backyard, it’s important to integrate the fire pit with the overall look of your outdoor space. Glow, the outdoor fire pit specialists in Australia, offer some quick tips on how to select your fire pit to compliment your garden style. 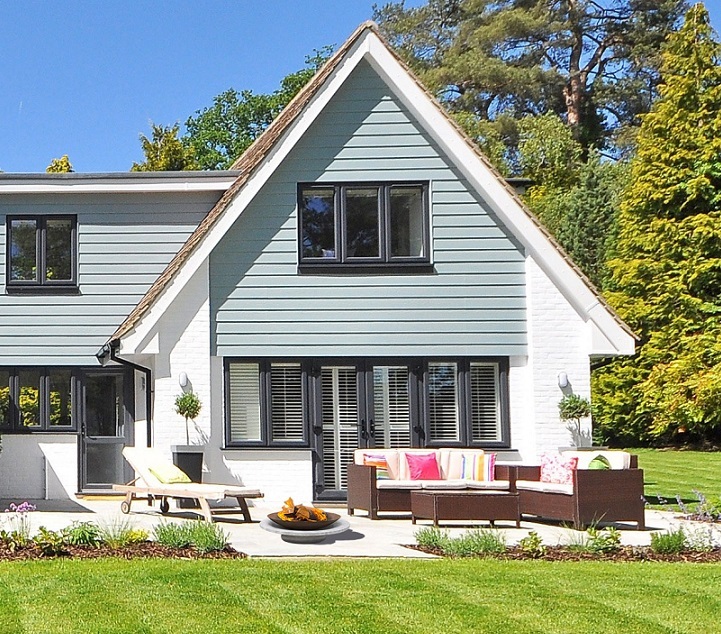 The Hamptons style is one of the biggest trends in 2018, including large open spaces, manicured lawns, formal gardens and a welcoming style that sits perfectly between classic and shabby chic. This signature look features subtle neutral colours and natural materials combined with structured details and layers that echo the coastal environs of upstate New York. 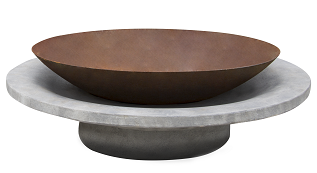 The Lille fire pit by Glow ($390) answers this brief perfectly, with a smooth circular concrete base and round rustic bowl in oxidised steel, designed to convey a modern yet sophisticated aesthetic. Its low design encourages seated entertaining, and is large enough to accommodate a big family get together. Vast lawns are also common features of Hamptons gardens, so when choosing your fire pit location Avoid placing on combustibles that may burn or scorch like grass and wooden decking. Traditionally, Zen gardens include ambient water features yet that shouldn’t put you off using a fire pit; especially as watching a rumbling flame can be incredibly meditative and calming. 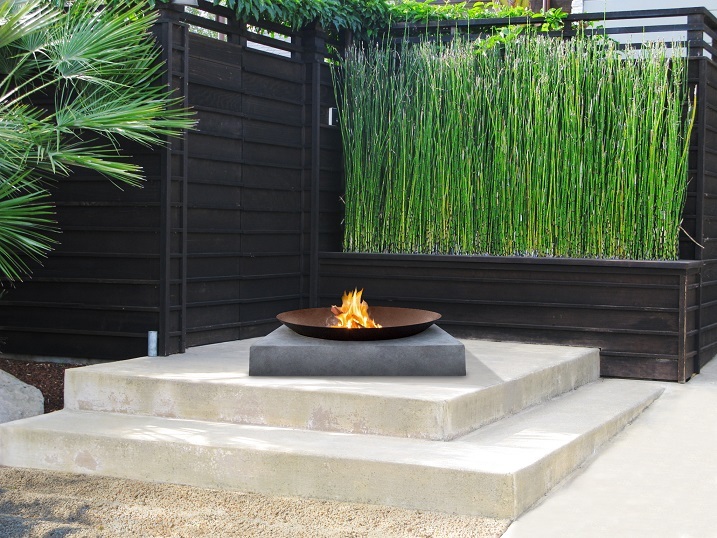 The design of Zen gardens make the ideal backdrop for a fire pit, which require two metres of clear space around them and to be placed on a heat-resistant surface. The stone masonry and raked gravel that are trademarks of a Zen garden, along with relatively low greenery, make it easy to incorporate a fire pit into this tranquil backyard design. 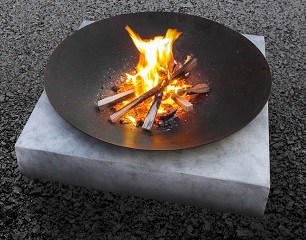 When choosing the fire pit, opt for a simple design in line with the rest of the minimalist aesthetic. 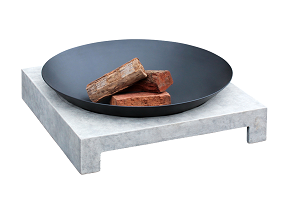 The Machu fire pit by Glow ($369) is the perfect choice thanks to the sleek black finish of the steel bowl and the grey concrete base. 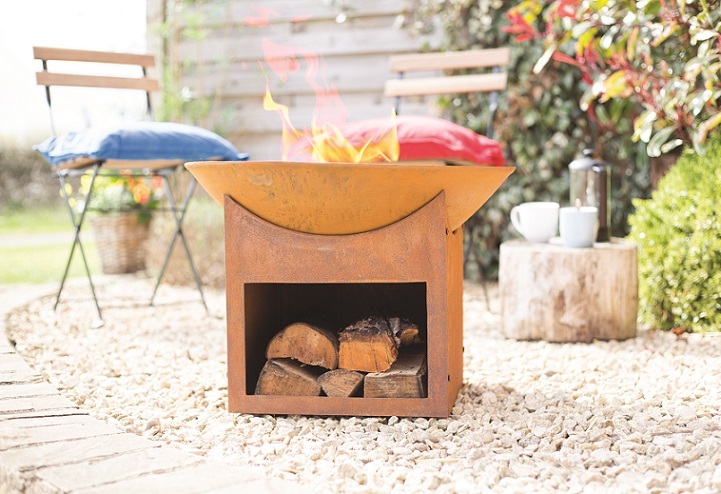 Aussies are a practical yet stylish lot, with 72 per cent of respondents from a recent Glow survey* stating warmth combined with good aesthetics was important to them, and 68 per cent saying entertainment and ambiance was their chief reason for choosing to own a fire pit. 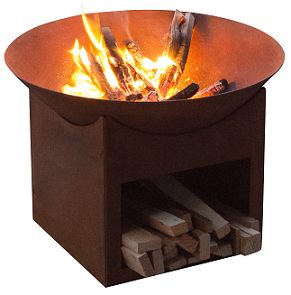 With house prices raising and land sizes shrinking, the Tambo Fire Bowl by Glow ($69) is a brand new design released for this winter, and is the first fire pit within the range to include a log storage compartment to assist with space conscious areas as well as day-to-day practicality. It is made from oxidised steel, and its ‘rust’ colouring suits a casual style setting. Its low price also makes it ideal for those who are cost conscious yet still want to enjoy taking evening entertainment to the next level. Careful consideration should go into the placement of a fire pit, as radiant heat can cause damage or cracking to underlying surfaces. Crushed rock or pebbles are a great option and create a casual Aussie backyard feel.